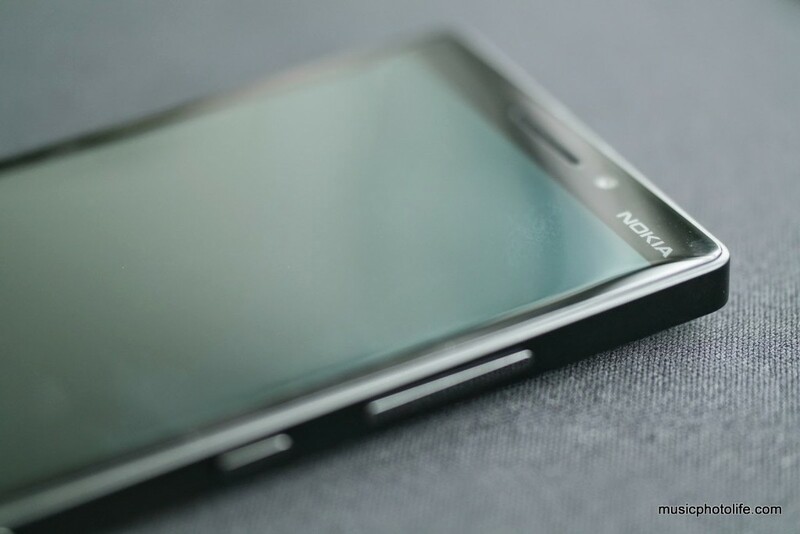 One year after my last Windows Phone review – Lumia 925, I’ve received another Windows Phone to blog about. The review pattern seems coincidental. My first ever Windows Phone experience was with Lumia 800 in Jan 2012. 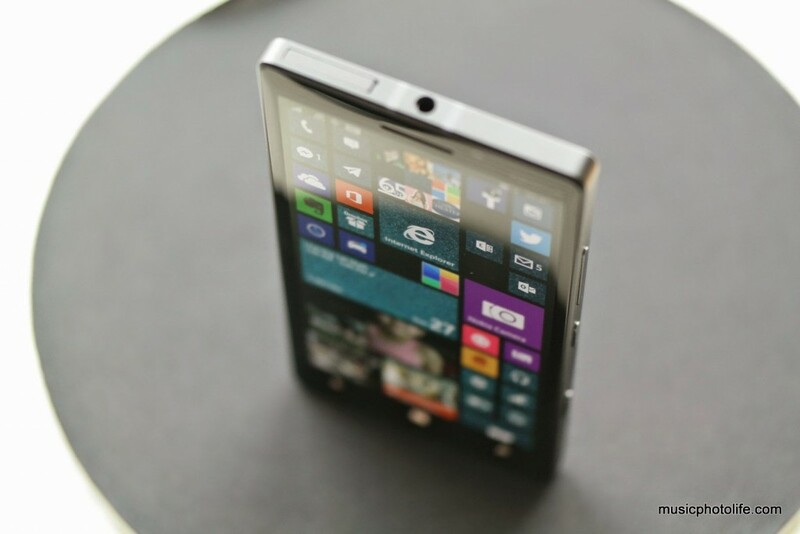 18 months later, in Jul 2013, I reviewed the Lumia 925. Another year later, in Jul 2014, I am reviewing the Lumia 930. 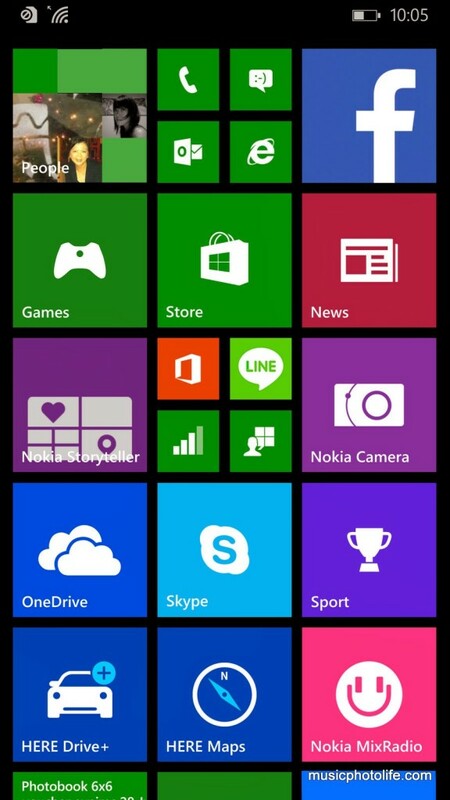 Nokia added a third column of home screen, which lets consumers increase the number of apps to appear on screen. This is a much-welcomed improvement, as it allows me to put more icons and less scrolling. If you choose the smallest icon, you could add 6 per column. Of course, this feature only makes sense with larger-screen devices, as the icons might be too small to select accurately for small devices. So for older devices like Lumia 925, there is an option to turn off the third column. This option is not available to new devices like Lumia 930. 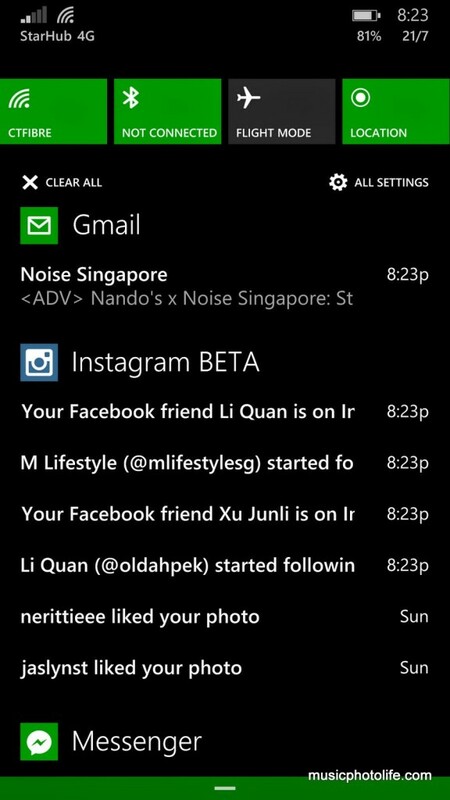 In my Lumia 925 review, I mentioned about the lack of a notification menu like Android. I’m glad that Nokia included it for the newest OS. From the pulldown menu which Nokia calls Action Centre, you can customise 4 shortcut settings on the top. There is also a permanent All Settings selector to access the Settings menu directly. Notifications are grouped by apps, and all the individual notifications appear. Sliding the notification to the right will remove the app’s entire notification list, so for now it is not possible to remove individual notification. With the Action Centre comes more apps that support background notifications. So now I get real time updates on Facebook, Twitter, Instagram, Telegram, Emails. Thumbs up. Nokia caught on with including a Swype-like keyboard entry. The keyboard will only show recommended words after the swipe action is completed, so to me it is slower than typing, where the keyboard show recommended words on the fly. Nokia added several new apps as well as enhanced existing apps. First off, Data Sense, Storage Sense, Battery Saver, are 3 sets of apps to help you manage your data usage, storage and battery. Then, the default Camera app is revamped to support burst shots. Nokia Storyteller offers identical features as HTC Zoe, where you can easily create a short professional-looking video clip complete with music and pan-zoom images. Nokia Creative Studio is a photo editor to let you process your images before sharing online. Cortana is Nokia’s answer for iPhone Siri and Google Now, and is currently only in U.S. Finally, HERE Drive+ is now available for all Lumia Cyan owners. HERE Drive+ is a turn-by-turn premium navigation app with features comparable to a dedicated in-vehicle navigation system. OK, now let’s get on with reviewing the Lumia 930 itself. When I handed the phone to a colleague, the first words from his mouth was: “It’s heavy.” Indeed, the Lumia 930 is encased in an high-density aluminium body coated with matt finish not unlike the other Lumia models. And just like all other Lumia, the 930 comes with a volume rocker, a power button and a dedicated camera shutter button. The headset jack is positioned right in the middle of the top, and the micro USB port in the other opposite bottom. 3 pin-hole microphones are positioned around the phone to record surround audio. 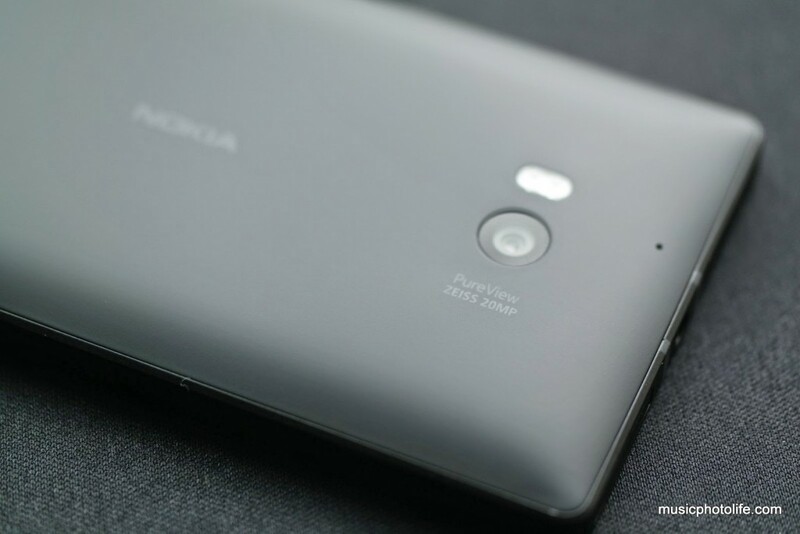 The mini-highlight of the Lumia 930 is perhaps the display surface. Instead of a straight flat piece of glass, it curves slightly at the bezels to the sides. Adding to that is the thick aluminium sides that run around the phone, and you’ve got a solid phone in your hands. 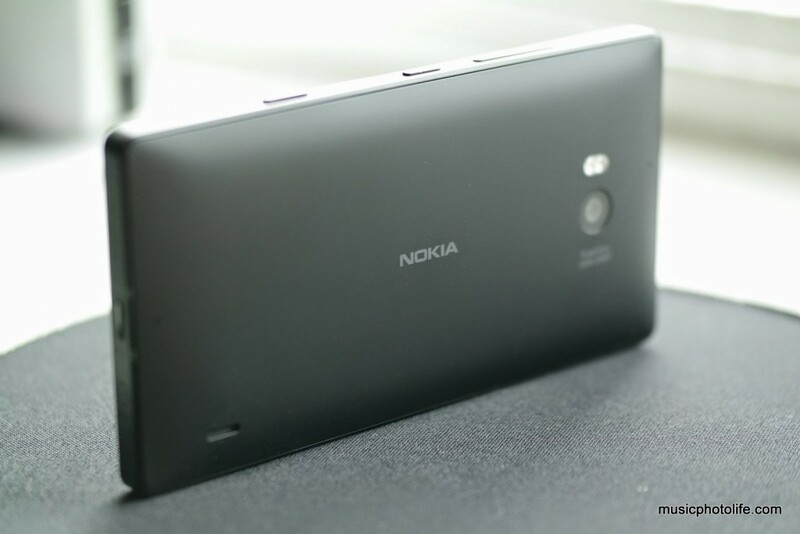 The 20MP PureView Zeiss-lens camera captures 2 files per image, a 5MP and a full 19MP file. Even if you have zoomed in during the image capture, you can reframe your shots during post-editing. Lumia 930 has an option to save in DNG (RAW) format for image purists. But do remember to shoot with Nokia Camera app and to enable the 20MP resolution option under the settings as it is not turned on by default. The default “Camera” app does not let you shoot in 20MP. Read more about how PureView works on my Lumia 1020 post. Any problems with the phone? Firstly, the phone does heat up considerably when you use processor-intensive apps like camera, video watching. Secondly, when shooting against strong lighting, the images turn up with purple refraction cast. Finally, inherent to the Windows Phone animated transition, you might find it is slow to move between screens, compared to the snappy Android. To existing Windows Phone users, the version update is very much appreciated. It is now closer to the other mobile OS user experiences. The Windows Phone user interface is still as brilliant, to think that the UI design is almost 3 years old. I love how the apps have the unified look and feel. It also employs the same philosophy as iOS where the media content (photos, videos, music) are shared across apps. When browsing your contacts, the screen seamlessly flashes their recent social updates. When viewing the song track, you can immediately read about the artist bio. Windows Phone also has the same content management convenience as Android: just copy your music, video or photo files to the respective folders via USB and the phone will recognise them. It also has a more effective backup and restore framework: upon logging in to the universal Windows account, you can easily restore all the apps, settings, phone messages. During daily use, the phone will periodically backup your content on the cloud, if you enable it. As for the apps availability from the Windows Store, I have to say most of the popular apps are well represented, while the rest have mobile web version that would suffice. You have most of the social networking apps like Facebook, Twitter, Instagram. You have all the messaging apps like Whatsapp, Telegram, Line, Viber, WeChat. Windows has its own News app, Fitness app, Weather app so you don’t really need to find others (unless you have specific needs that these apps could not fulfill). 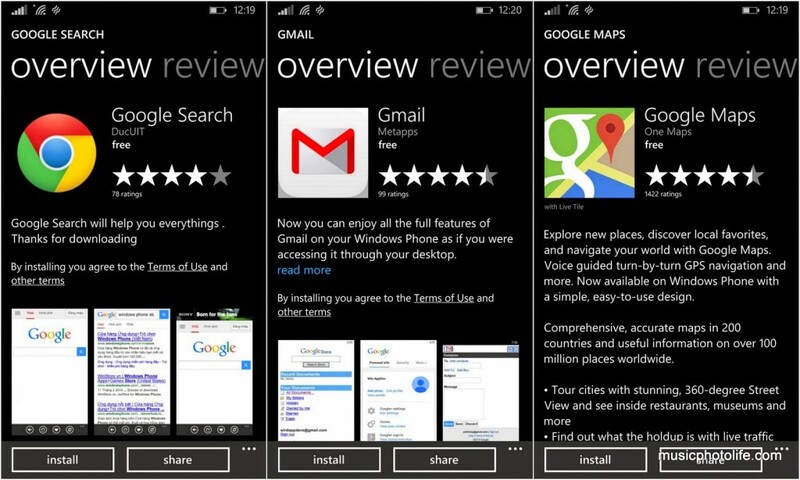 It would be wishful thinking to find every single app I love in Android on Windows Phone, so you need to look for alternatives and relearn the experience. The challenge is no different from an iPhone user moving to Android, and vice versa. What annoys me is that there are numerous apps out there that use identical names and logos of the original apps. Apps like “Gmail”, “YouTube”, “Google Search” do not come from Google. The only giveaway is the app developer name. Such is the problem with Windows Store: these big brands aren’t creating apps for Windows Phones, leaving a gap for these opportunistic app developers to take advantage of consumer naivety. 1. It is less hassle to get it working from scratch. Instead of the widely-spaced static rows of icons on the Android, the Lumia start screen is burst with colourful flish-flash live tiles, as it reveals content snippets to entice you to explore. Once you login to your social network account, the apps come alive. Go into the People app and check out your contacts and what’s their recent happenings on their social media. Browse your photos and decide to create a StoryTeller content. Or read the latest news headlines. Turn on online backup so that your apps and content remain safe in the clouds and you can restore the content and settings to another Windows Phone easily when needed. 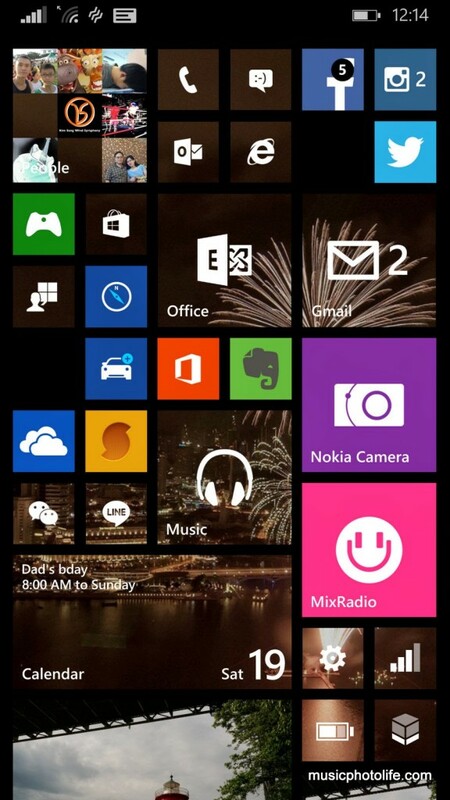 The Windows Phone home screen is perfect for those who wants to put emphasis on apps prominence. To a traditional phone user, you can resize larger icons for phone, message, people and photos. To social network users, make the Facebook, Twitter, WhatsApp icons bigger. 2. The camera functions are outstanding. Not only is the camera quality good, its accompanying apps are just as professional. It all integrates into the main camera app: simply go to the “Lens” menu to choose shooting plug-ins. All your photos will appear in your Photo app, there is no folders to worry about. Just be careful when shooting with strong direct lighting, as the lens elements will cause unfortunate purple refractions. 3. Windows Phone is safer to use. It’s harder to mess things up. For instance, there aren’t a page full of shortcut setting buttons for users to press. There isn’t any folders where your apps get hidden and lost. Android might have some of the advanced homescreen customisation but again it is useful only to the power users. On one occasion, my relative complained that he could not receive any Whatsapp messages on his Android phone. I found that the mobile data was turned off, for reasons unknown to us. My mum also complained her photos on her Android phone are in different folders because each app saves them in separate folders. And if you are a Samsung Galaxy user, you might not be able to find your apps on your app drawer, only to realise they are actually inside a folder. There aren’t as many scam apps on Windows Phone either. I sometimes have to clean up my dad’s Android phone due to strange rouge apps that hog the phone memory and with persistent push notifications. Some of these “free” apps also litter the screen with random pop-ups and cause unknowing users to click and be redirected to unwanted content. It’s going to take a lot of convincing for an Android-lover to switch to Windows Phone. I myself is struggling, because I value the power of Android. But I know of users who are not able to comprehend the technicalities of Android devices. All they want is a smartphone that works and with a user interface that is easy to understand. That phone could be a Lumia. 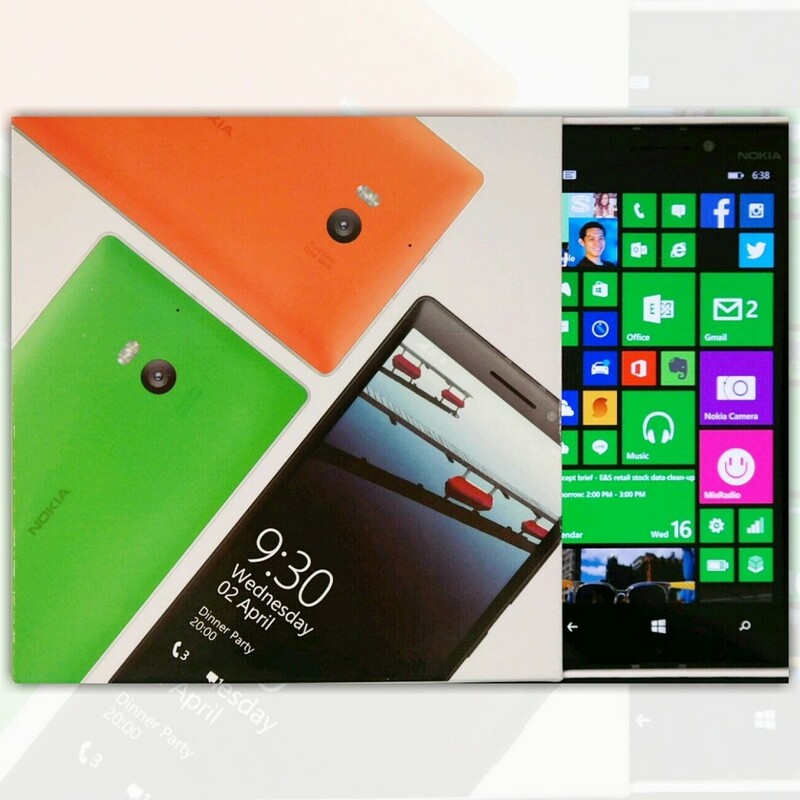 This premium-spec Nokia Lumia 930 is available in Singapore without contract at a recommended price of S$789.